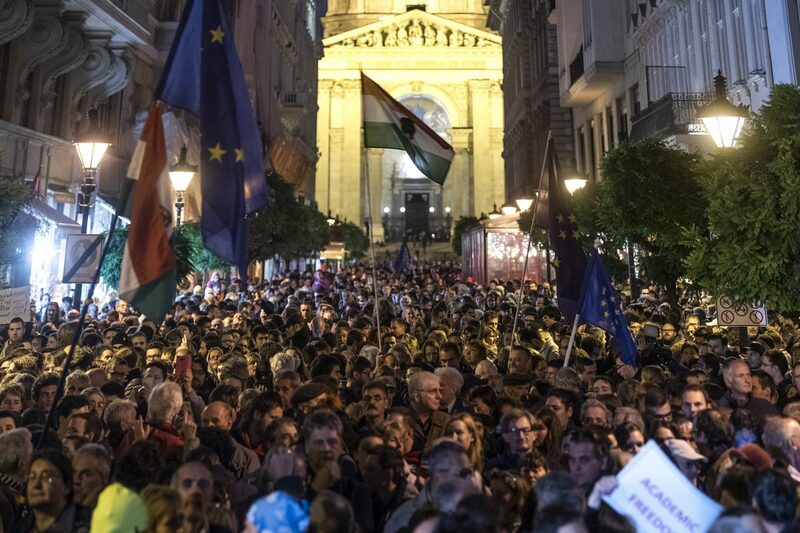 Thousands gathered in central Budapest to express solidarity with the Central European University, in a demonstration staged by the Momentum Movement, on Friday. 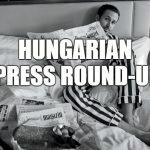 Momentum leader András Fekete-Győr told the crowd that the government “wants to expel CEU from Hungary” because Prime Minister Viktor Orbán “is terrified of all those that have thoughts”. 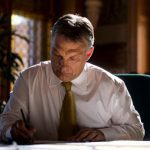 He gave the prime minister until December 1 “to take his dirty, corrupted hands off the university” and called on Hungarians “to defend what belongs to them”. The CEU has said that unless the university can emerge from its current legal limbo in Hungary by December 1, the new student intake for its American accredited masters and doctoral programmes will study at the CEU’s new campus in Vienna. Michael Ignatieff, the CEU’s president and rector, told a news conference in Budapest on Thursday that the decision by the institution’s board of trustees will come into effect on December 1, though, he added, hopefully a solution to the stand-off was still possible to ensure that courses continue in Hungary. But if a solution is not found, the CEU will move to Vienna “given we cannot continue to operate legally in Budapest,” he said. Ruling Fidesz said in a statement that Momentum “promotes the interests of businessman George Soros”. They argued that politicians of the opposition are backed by the US billionaire and “they are now paying their gratitude in front of the Soros university”. The statement added that the CEU “is operating undisturbed” and the “hysteria around it is but a political ploy”.